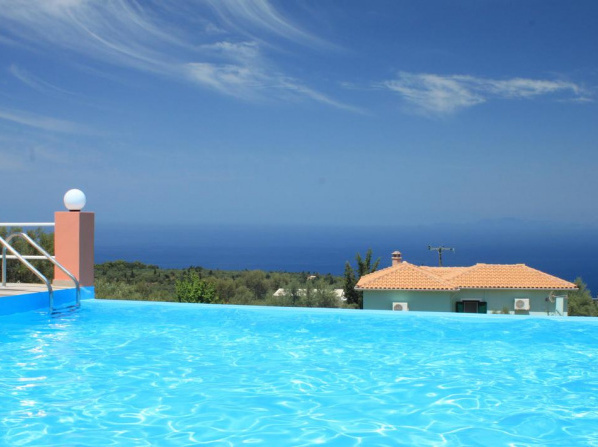 Bathe in the sun on the several large terraces or in the newly built saltwater pool (only 4 gr. 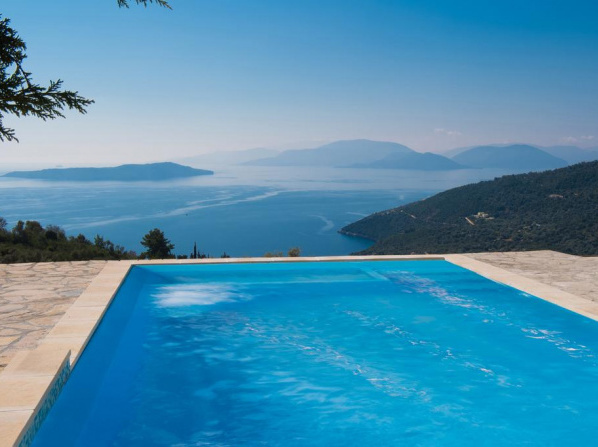 Salt per liter for no chemistry no chlorine, sea water has 40 gr. 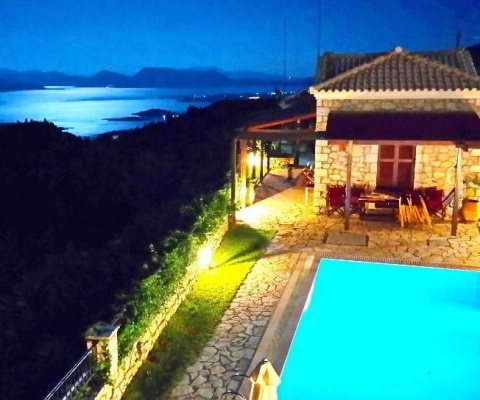 Salt per liter) with sensational panoramic views of the city of Lefkada, the harbor , the lagoon, the castle of Santa Maura, the sea and the opposite mainland. 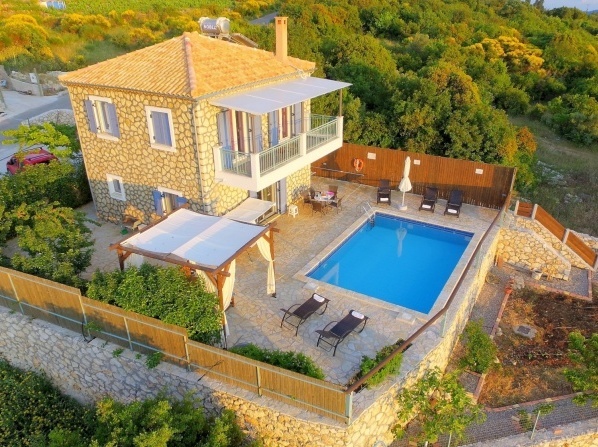 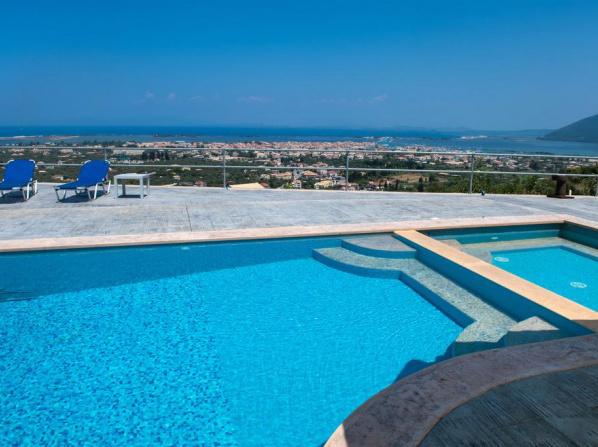 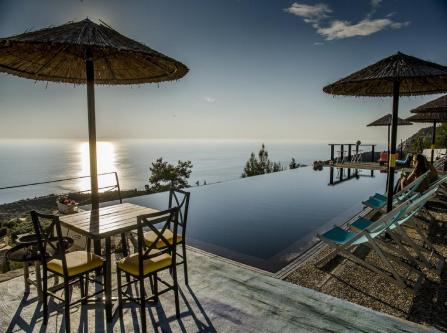 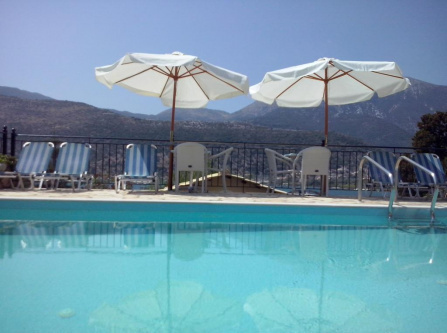 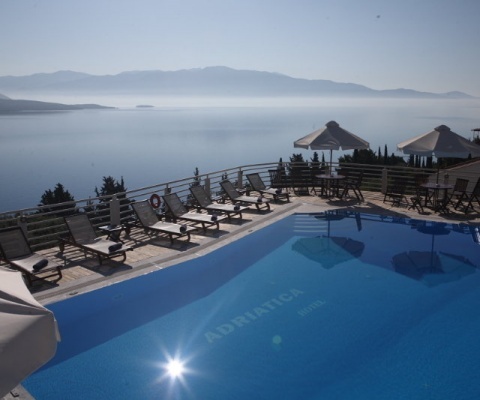 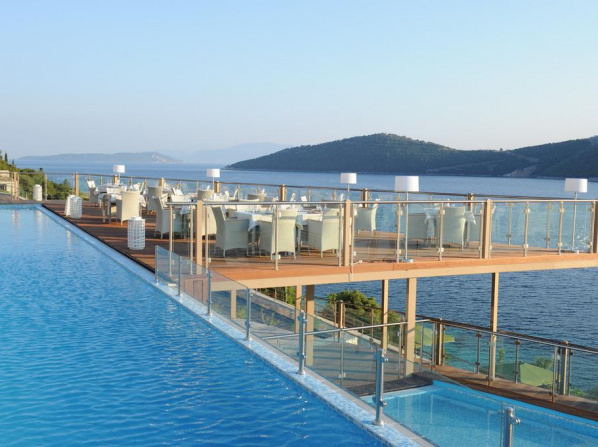 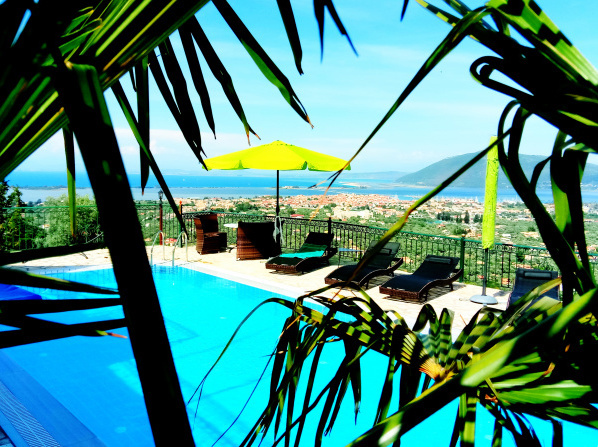 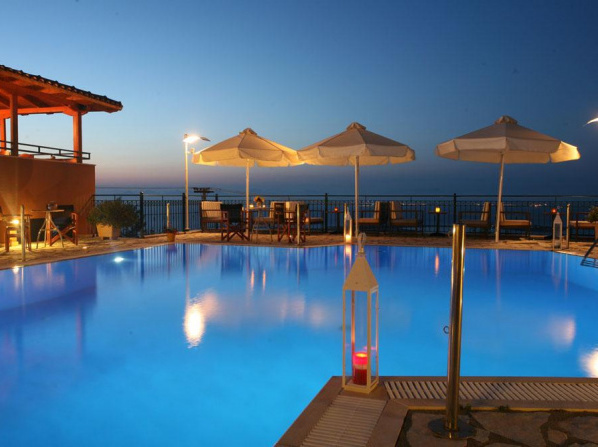 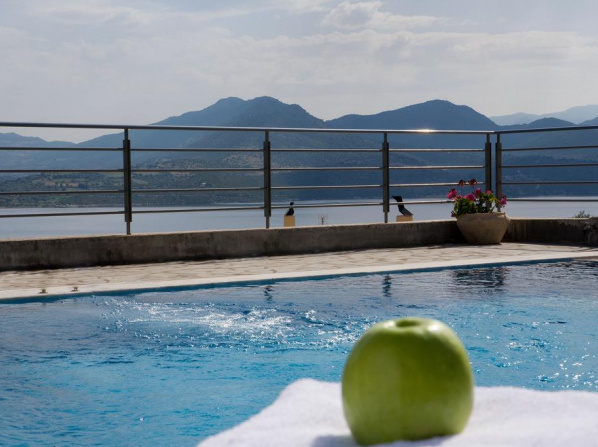 The sea salt water pool is located on a separate terrace with sensational views over the city of Lefkada, the lagoon, Santa Maura Castle, the sea and the opposite mainland. 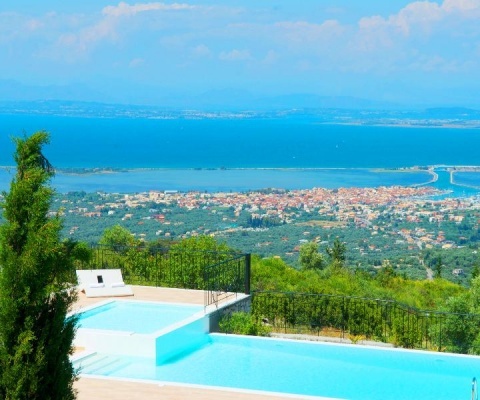 The Villa Palazzo Lemonia has only 2 apartments, so the large pool is only for a maximum of 6 guests. 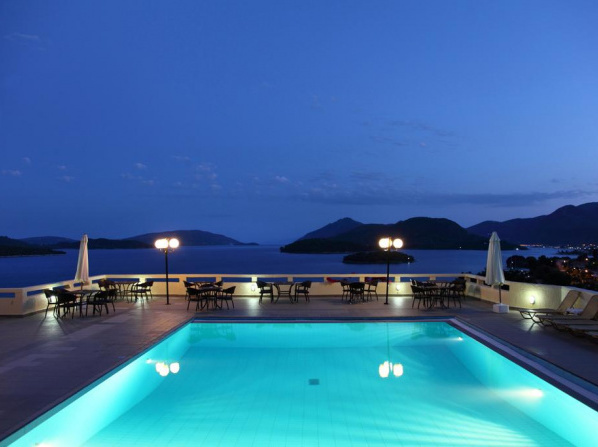 Ένα συγκρότημα πολυτελών κατοικιών με θέα τον κόλπο της Λυγιάς σε απόσταση 6 χιλ. 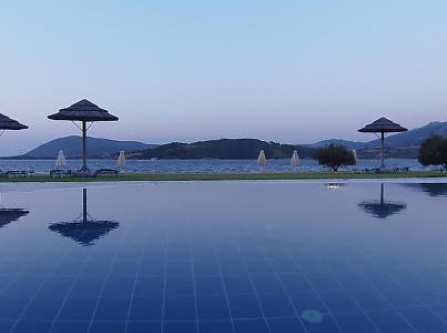 από το κέντρο της πόλης της Λευκάδας.